U.S. fire departments responded to an estimated average of 45,210 home structure fires each year between 2010 and 2014 that involved some type of electrical failure or malfunction as a factor contributing to ignition. These fires resulted in an estimated 420 deaths, 1,370 injuries and $1.4 billion in direct property damage per year. An estimated 16,070 non-home structure fires involving some type of electrical failure or malfunction as a factor contributing to ignition were also reported to U.S. fire departments per year. These fires resulted in an estimated annual average of 12 civilian deaths, 210 civilian injuries, and $614 million in direct property damage. Electronic cigarettes (e-cigarettes) are battery-operated devices that deliver nicotine in a vapor form by heating a solution commonly comprised of propylene glycol, nicotine, and flavoring ingredients. Since entering the U.S. market in 2007, e-cigarettes have attracted a growing supply of consumers, and sales are expected to increase in the years ahead. Safety concerns have been raised by incidents involving e-cigarette fires and explosions. 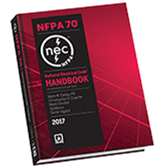 In 2003, municipal fire departments responded to an estimated 2,800 electrical rescue incidents, excluding incidents where fire was present and 8% of these incidents took place at noon. Thirty-five percent of non-fire electrical rescue incidents took place in the home. In 2005, municipal fire departments responded to an estimated 339,000 electrical wiring or equipment problem incidents, excluding rescues and incidents where nothing was found or fire was present. A monthly breakdown of the incidents shows that July is the peak month. The peak time of day for these incidents is in the late afternoon and early evening. Thirty-five percent of non-fire electrical wiring or equipment problems occurred in the home and 33% occurred on highways, streets, or in parking areas. 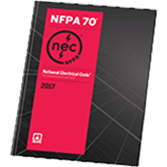 National Electrical Grounding Research Project - Appendices CD (2007) Contact the Fire Protection Research Foundation at +1 617 984-7281 for this project.